These 100% leak free MTC5-15134300DCNC American Racing Headers are the perfect option for virtually any 2015-17 Mustang GT. 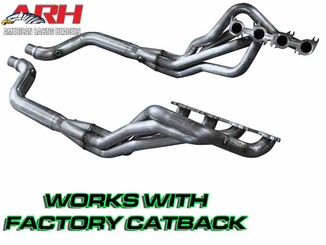 These headers feature 1-3/4” primaries to accommodate naturally aspirated or supercharged engines. Durability is achieved through 3/8” thick flanges with tig-welded and hand ported inlets. 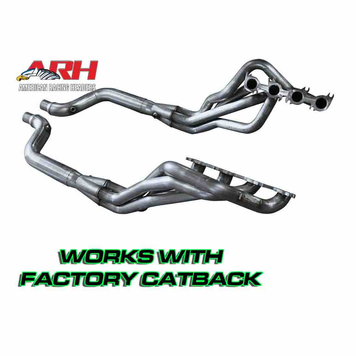 These USA made, 302 stainless steel headers have a 3” mid-pipe (without catalytic converters) with a 2-1/2” direct connection to your factory or aftermarket cat-back exhaust system that bolts up to the factory mounting locations.